The Times Top 10 Bestseller THE INTERNATIONAL BESTSELLER, WITH OVER THREE MILLION COPIES SOLD AROUND THE WORLD 'Is it the world that's busy, or my mind?' The world moves fast, but that doesn't mean we have to. In this timely guide to mindfulness, Haemin Sunim, a Buddhist monk born in Korea and educated in the United States, offers advice on everything from handling setbacks to dealing with rest and relationships, in a beautiful book combining his teachings with calming full-colour illustrations. 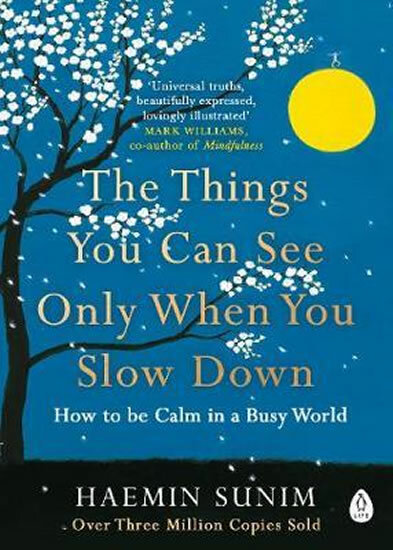 Haemin Sunim's simple messages - which he first wrote when he responded to requests for advice on social media - speak directly to the anxieties that have become part of modern life and remind us of the strength and joy that come from slowing down. Hugely popular in Korea, Haemin Sunim is a Zen meditation teacher whose teachings transcend religions and borders and resonate with people of all ages. With insight and compassion drawn from a life full of change, the 'mega-monk' succeeds at encouraging all of us to notice that when you slow down, the world slows down with you.